Five books and comics series bring storytelling depth (we hope!) to the new TV lineup. From new comic series to graphic novels for kids, here are the Eisner Award winners for the best of the best in comics and graphic novels. The best-selling author of Dork Diaries talks about the comments from fans that led her to write the Max Crumbly series, and what she hopes kids will come away with after reading and laughing their way through her books. We talk with Jeff Lemire about his partnership with Scott Snyder on "After Death" and Lemire's unusual start in the comics world. Do you have a favorite superhero? What if you got the chance to recreate them to look and act however you wanted? Jason Reynolds did just that with the classic hero Spider-Man and we asked him about it. A Cosmic Food Fight for Kids: "Space Battle Lunchtime"
Searching for a fun, bright graphic novel that will woo your kid away from his or her digital device? Look no farther than Natalie Riess's Space Battle Lunchtime. Last week, the 29th annual Lammys celebrated works of excellence in lesbian, gay, bisexual, and transgender literature. 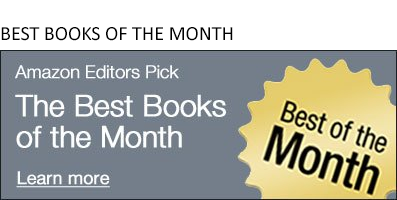 See which books won in fiction, nonfiction, mystery, biography/memoir, and more. Multi-award-winning author Greg Rucka chats with us about the enduring core of Wonder Woman and why she is still so electrifying and relevant after 75 years. Discover the best comics and graphic novels published in May. Alert, alert! Mother's Day is on Sunday, May 14. Here are 11 excellent books that will let Mom know that you're really and truly thinking about her this year.